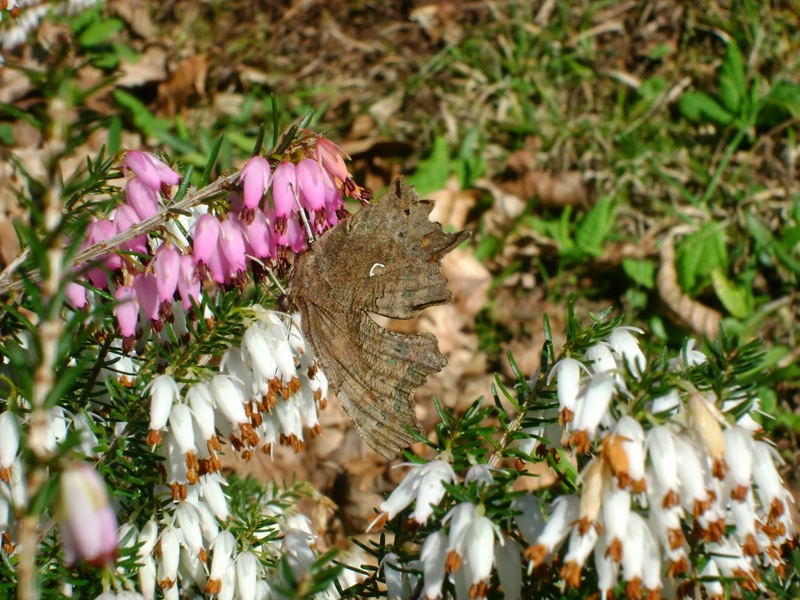 Carmarthenshire Moth and Butterfly Group: Spring is in the Air! Given the glorious weather, I went for a quick walk lunchtime up Cwm Trebeddrod past Furnace Pond, Llanelli. Cwm Trebeddrod, south of Cwtta Farm SN503027 used to be a place where, about forty years ago, I`d regularly see yellowhammers. Since then, succession has occured, farming has intensified and sadly, the yellowhammers have gone. 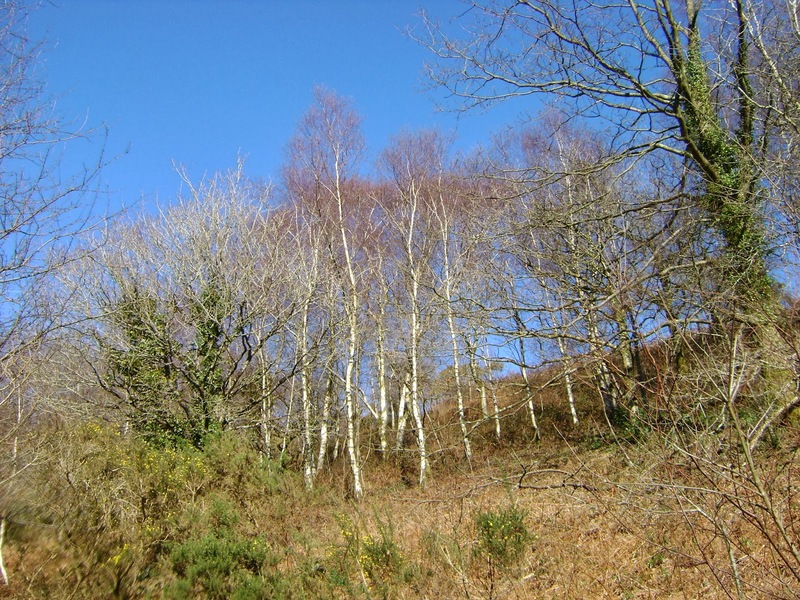 I thought of orange underwings as I walked up the `cwm` but considered it a touch too early. On the way back down though, something caught my eye and with binoculars I could see it was a pair of bullfinches, high in the birches. They flew to an adjacent birch and flushed an orange underwing, of which I had reasonable views against the backdrop of blue skies. Continuing down the cwm, I searched for more, but saw none. Later at Graig-wen cottages SN504019, a bright-yellow brimstone flew past and a comma was feasting at flowers of Erica carnea (a really good early nectar plant), together with two species of bumblebee. 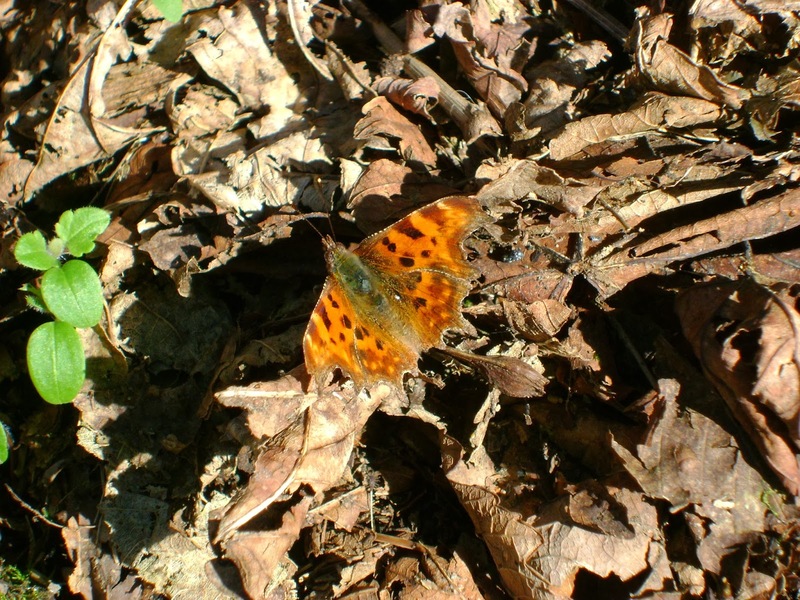 A photo of the upside-down comma, showing its underwing `comma` is given below. Later, I saw a different comma (again photo below). Above: two different commas, Graig-wen, Furnace. George Tordoff reports seeing at least five male brimstones at WWT Penclacwydd yesterday and we have Barry Stewart to partially thank for this as, when he worked there, he included alder buckthorns in the plantings in the grounds some 25 years ago. Fianlly, a nice (non-moth/butterfly!) 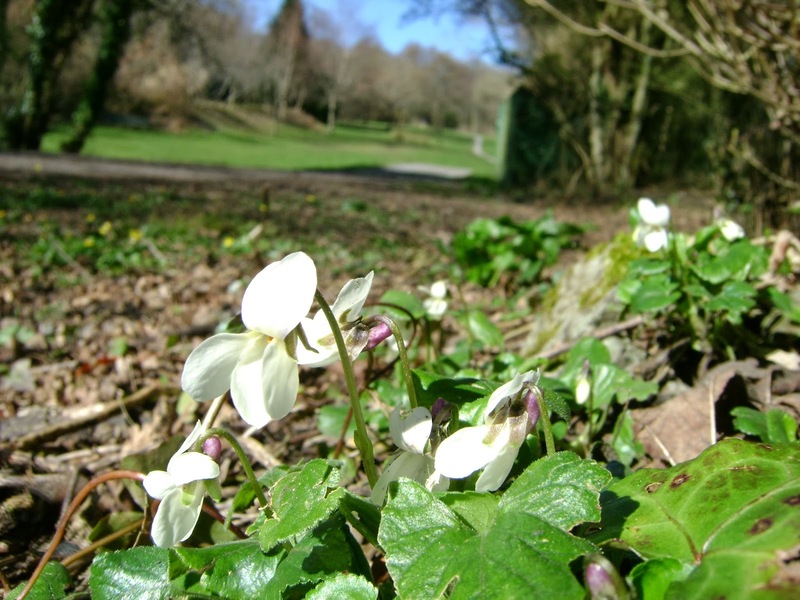 surprise was a clump of the distinctive sweet violet Viola odorata (photo below) near Graig-wen....always worth looking out for, early flowering and dark, contrasting spur (amongst other things).